Sometimes it’s life’s spontaneous decisions that bring the most happiness. My husband and I were coming back from a short trip to South Florida when we decided to make a detour and go to St. Augustine Beach. 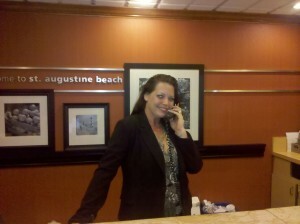 We called ahead to the St. Augustine Beach Hampton Inn and were lucky enough to get the last room for the night. Just minutes before our call, someone had cancelled out a reservation. 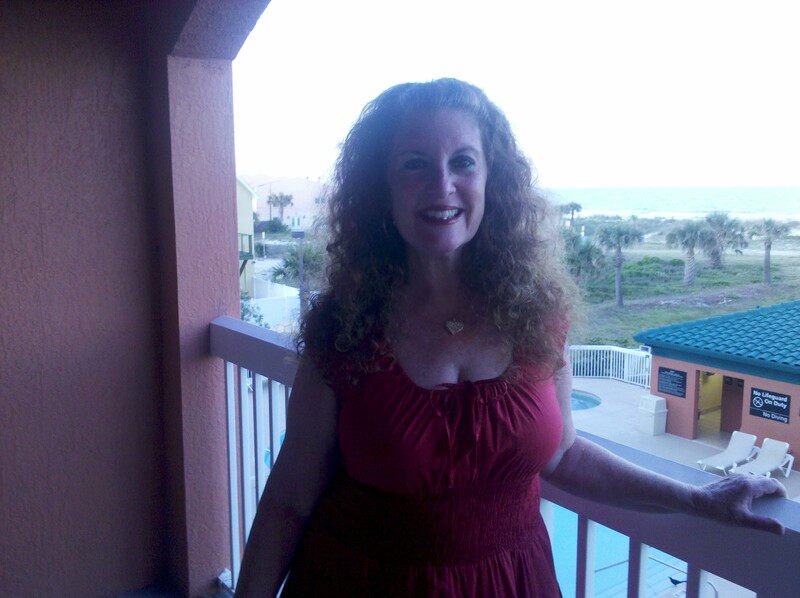 Upon arriving at the St. Augustine Beach Hampton Inn, we were greeted like VIP guests. The staff told us that we were getting a room with an ocean view which put a huge smile on my face. Though I’ve lived in the mountains of North Carolina for 25 years, I was raised in Florida and miss the beaches and tropical climate. The room was gorgeous, and sparkling clean. This is one of the main reasons, my husband and I always stay at Hampton Inns. We have owned and operated a janitorial service for 21 years and look at hotel rooms through cleaning professional’s eyes. They are the only chain we know of that change the entire bedding even the quilt after each guest’s visit. Every area of the hotel was clean and well maintained. We were greeted warmly by every staff member we walked by from housekeeping to maintenance. The breakfast attendant went out of her way to be helpful to every guest and make sure that every person enjoyed their breakfast. 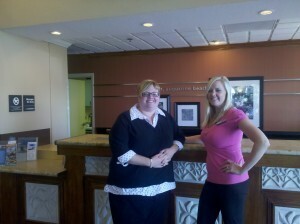 I had the pleasure of interviewing several members of the hotel management staff. 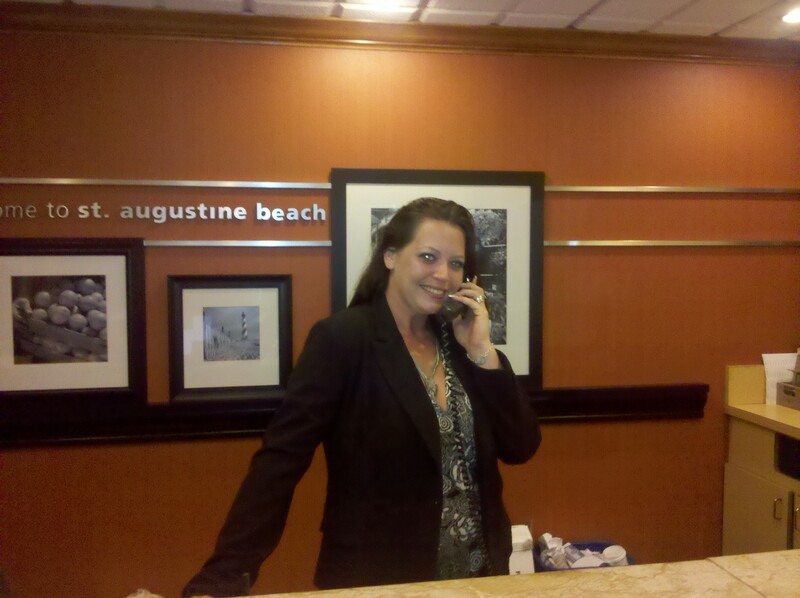 Each of them expressed how much they enjoy working for the St. Augustine Beach Hampton Inn. They all love their jobs and look forward each day to coming to work. I was impressed by how well they worked as a team, each one of them willing to chip in and help out wherever necessary. 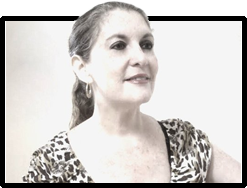 As I saw them greet each guest, I realized that every person was made to feel like a VIP. I watched as all the guests left the front desk with smiles on their faces. 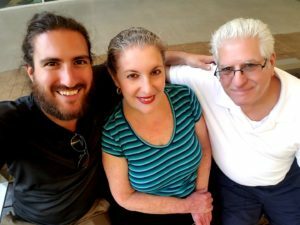 My visit reminded me of the fabulous time I had when I stayed at a Hampton Inn in Charleston, South Carolina and discovered Henry, the singing bellhop. The three friendly staff members I interviewed in St Augustine were all transplants. 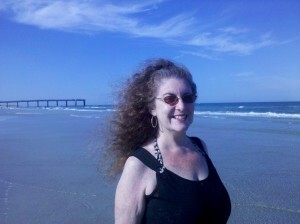 Kristin came to St Augustine Beach, Florida from a small town just a few miles from where I live in North Carolina. Trish relocated from Alaska and Nicole moved from Massachusetts. They all agreed that the move had brought a lot of good things to their lives. 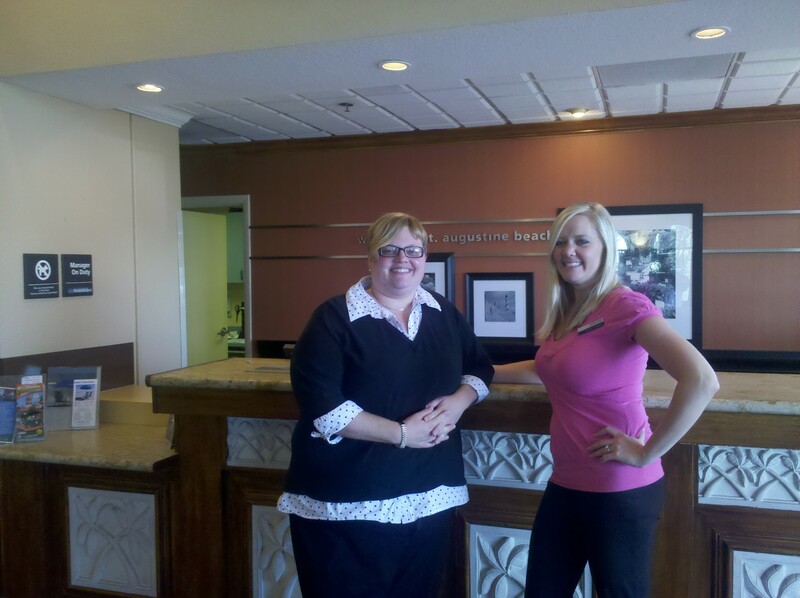 One of the best, of course, was meeting each other and getting to work together at the St. Augustine Beach Hampton Inn. I just stayed at that Hampton Inn. You are so right about the staff. Under ‘nice’ in the dictionary is a picture of Nicole and Kristin. Thanks for your sweet comment. I can’t wait to go back again….hopefully soon!